- up to 50 mile Range. Range: 35 to 50 miles from point of signal origination, Editor tested to 87 miles. Enjoy TV shows without subscription and monthly fee. Receives free broadcast High Definition Over-To-Air TV signals such as ABC, CBS, NBC, PBS, Fox, Univision and others. Features a 35 to 50 mile reception range from point of signal origination. Thoroughly tested in the TV Antenna Sale Lab and In Home Installations. 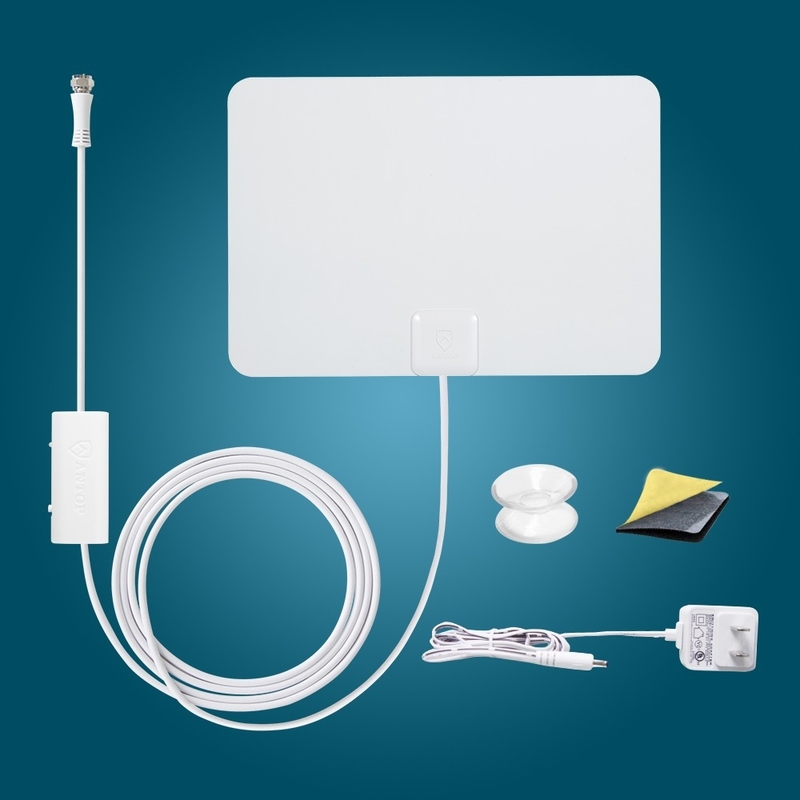 Top Performing Indoor TV Antenna for Los Angeles, Las Vegas, Phoenix, Dallas, Fort Worth and many other major cities that we tested in. 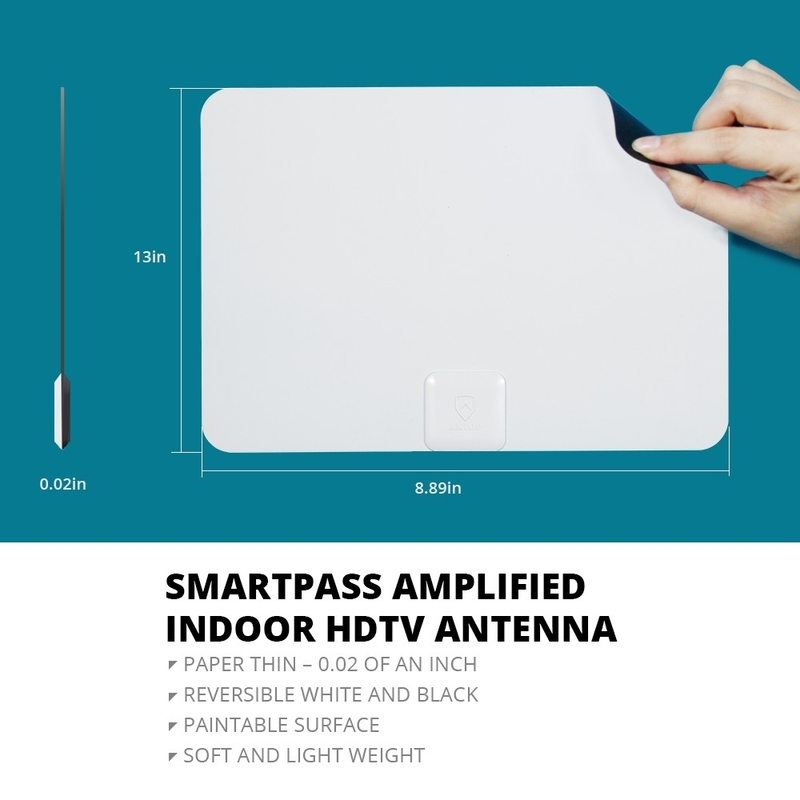 TV Antenna Sale is proud to present the ANTOP Paper Thin Indoor HDTV Antenna, AT-101B super slim and Reversible White and Black design (less than an inch thick, 0.02’) is aesthetically pleasing and suitable to match a wide range of home décor styles. 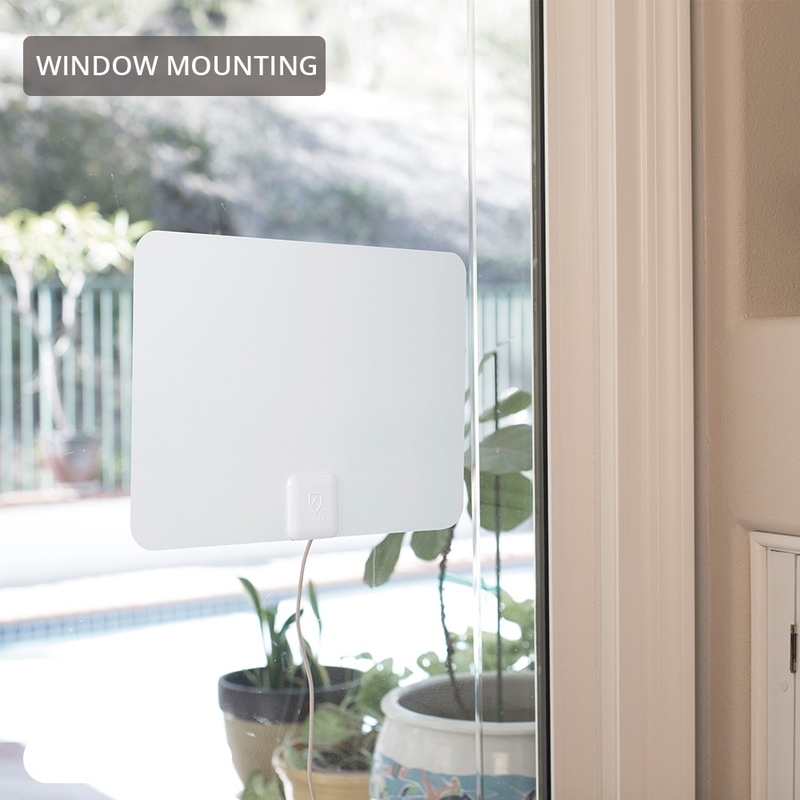 Its compact size allows you to position the antenna anywhere in your home. The AT-101B supports HDTV, 1080P TV and 4K ULTRA HD and is compatible with TV converter boxes or digital TVs. 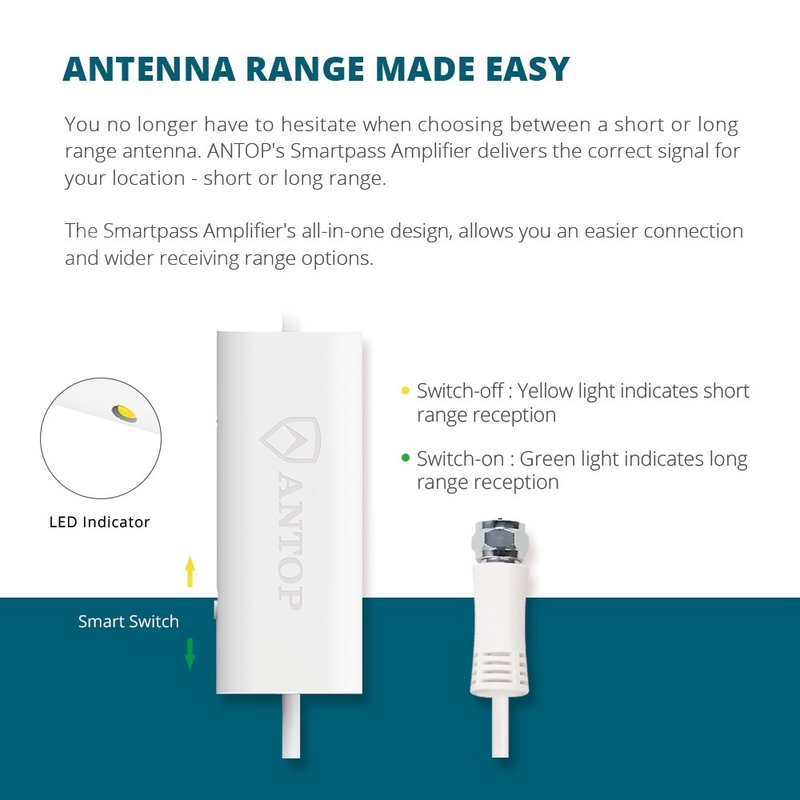 The Smartpass Amplifier's all-in-one design allows easier connection, delivers correct balance between short and long range reception. It must be powered in order to function. Push the smart switch On or Off and select the switching with which more channels are received. Blocks 3G and 4G wireless signals for noise-free digital reception.